Barcelona’s architectural treasures span more than 2,000 years. Towering temple columns, ancient city walls and subterranean stone corridors provide a window into Roman-era Barcino. Fast forward a thousand years or so to the Middle Ages by taking a stroll through the shadowy lanes of the Gothic quarter, past tranquil plazas and soaring 14th-century cathedrals. In other parts of town bloom the sculptural masterpieces of Modernisme, a mix of ingenious and whimsical creations by Gaudí and his Catalan architectural contemporaries. Barcelona has also long inspired artists, including Pablo Picasso and Joan Miró, both of whom have major museums devoted to their work. Sun-drenched beaches make a fine backdrop to a jog, bike ride or long leisurely stroll along the seaside – followed by a refreshing dip. You can also enjoy the view from out on the water while kayaking, stand-up paddle-boarding or taking it easy on a sunset cruise. Our guides know how to make touring Barcelona a heart-warming, interactive and exciting experience—the total opposite of a boring history class. (These programs are also easily adaptable for ship-to-shore tours as well). 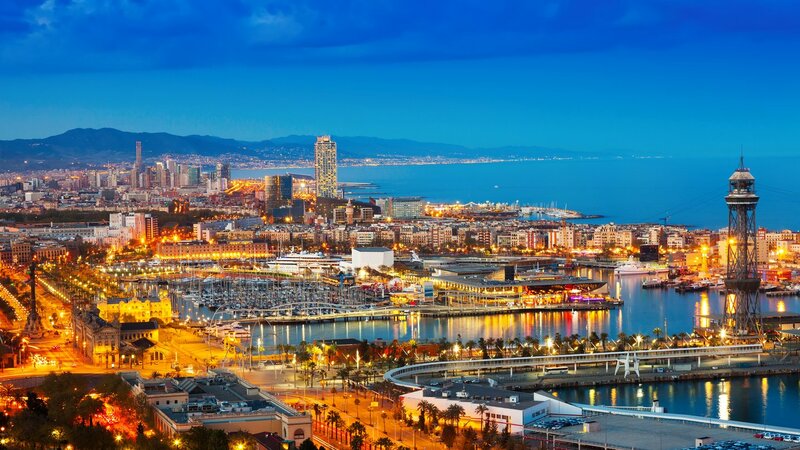 Barcelona’s wide-ranging gastronomy is another surprising element to enhance your trip: Basque-style tapas bars, Galician seafood taverns, avant-garde Japanese restaurants and sinful chocolate shops are among the surprising treats you will find in this city’s eclectic culinary landscape. 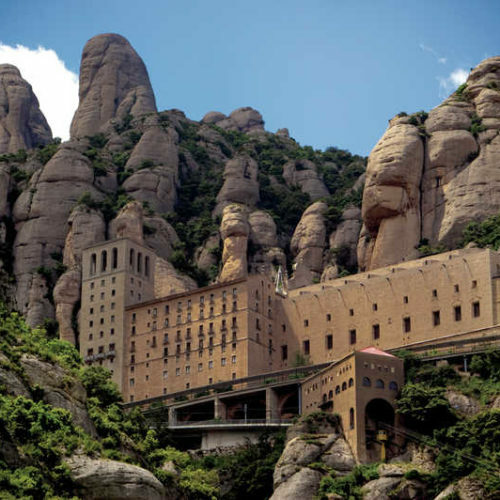 A Day in The Footsteps of Antonio Gaudi: If you’re passionate about architecture and design, you will appreciate our specialist tour taking you to visit the masterpieces of the great Catalan architect, starting with the famous, unfinished Sagrada Familia, as well as the Casa Milà, Casa Batilo and the Park Guell. On this tour, you will discover the structural secrets, symbols and technical innovations of Gaudi. (This tour includes skip-the-line admissions). Ancient Roman and Gothic Barcelona: No visit to Barcelona is complete without a visit to the oldest parts of the Catalan capital. Your tour will take you to Barcelona’s Gothic quarter, including the Gothic Cathedral of Santa Eulalia, and the remains of a Roman aqueduct which once ferried water to thirsty toga-wearers over two thousand years ago. With our guide, you will discover the cafés built with Roman walls, the pillars or Emperor Augustus military headquarters, as well as the pregnant Virgin of Saint Just. Picasso’s Barcelona: With our expert local art historian, you will see where Picasso once lived, studied and drank absinthe, and see the places that inspired his early work. 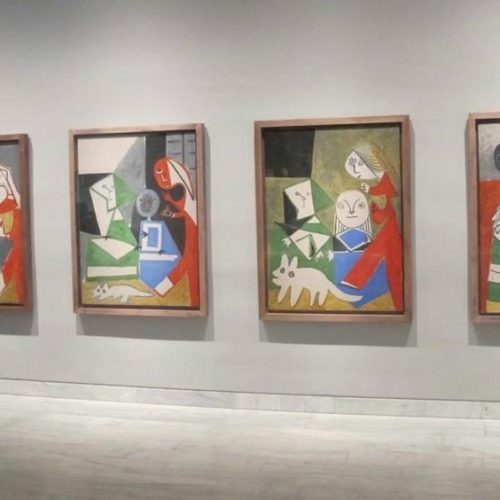 Your visit to the Picasso Museum will provide additional insight into his entire body of work, including the impact of his different love affairs. The tour will conclude at “El Quatre Gats” where you lunch and relax while learning more about the Catalan master’s iconoclastic talent. 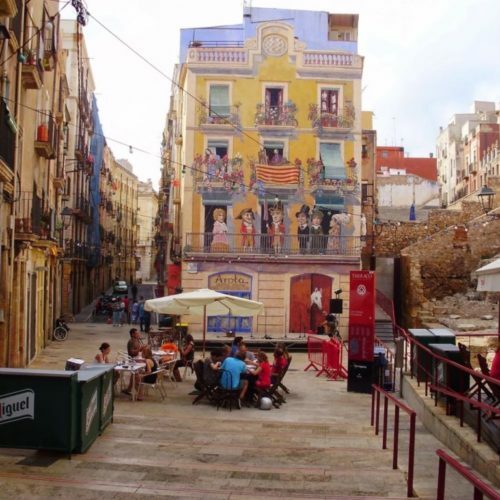 Jewish Barcelona: Our expert local guide is able to bring to life the history of Jews in Spain through a tour of the ancient Call or Juderia and the main synagogue of Barcelona. On the western edge of the city, is the ancient cemetery of Montjuic (literally “mountain of the Jews”), where you can see some of the remains of the Spanish community prior to its expulsion from Spain. This visit can be combined with a daytrip to the charming old city of Girona, 60 miles northeast of Barcelona—once the home of the great Jewish sage Maimonides who defended the Spanish Jews in the 13th century at the Disputation of Barcelona. Barcelona for Active Couples & Families: If you love cycling through a city, we can arrange a seven-mile bicycle tour that takes in historic sites as well as the lush green Ciutadella Park. For a bird’s eye view of the city, we can arrange a short, 10-minute helicopter ride that goes over the Mediterranean, Parc Guell and other major monuments. Beach sports can include kayaking, having a jaunt on a seven-person banana boat, even flying through the air on a parasail! Barcelona for Foodies: Our two to three-hour tours cover four small food establishment, ranging from high quality specialty shops to home-style tapas, each one with its own mouth-watering specialties that you can taste. Of course, you can also enjoy Barcelona’s chocolate—learn how it came to Spain and how it is made though the Museo de Chocolate, and then continue sampling the best in such leading artisans Xocoa, Cacao Sampaka and Oriol Balaguer. Boqueria Market Tour & Cooking Class: With our expert local chefs, you will kick off your morning class with a visit to the celebrated market, then head over to the cooking school to prepare a four-course lunch with wine. Or you can take an evening class and make it your dinner. 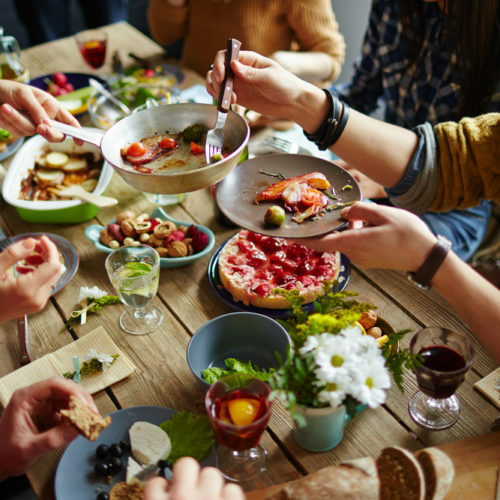 Taught in English, our classes are for the novice cook as well as the food connoisseur—either way you will have an immersion course in the textures, flavors and scents of authentic Catalan cuisine. Private Exclusive Wine Tours: Our local wine expert and partner will arrange for you and your friends to visit two top wineries in the Penedes region. The first is the Cordorniu Winery, where you will get to see how the most famous name in the business produces their Cava. Then, you will visit a much smaller, family-run vineyard, get a more personalized tour, sit down for a tapas lunch—and of course taste a wide range of Catalan Wines. Create Your Own Cava Experience: For an even more hands-on wine tasting tour, grape lovers should look no further than our hands-on activity making this delicious wine. This day trip includes a guided stroll inside the vineyards, a tour of the cellars, and a thorough explanation of the production process, enough so you can participate directly in the making of wine. Having samples three different cava blends, you will then choose your favorite blend and tackle the tricky process of ‘disgorgement.’ It’s a lot of fun, and best of all, you take home the bottle you have prepared to drink at your leisure. Daytrip to Tarragona and Sitges: Learning about Catalonia’s Roman heritage and discovering one the region’s most charming Mediterranean resorts is just one of the ways we arrange for you to enjoy this region. Our local driver and guide will first show you the Roman Aqueduct of Les Ferreres, before stopping in Tarragona where you will walk the Roman walls, wonder through the ancient medieval old town, explore the ruins of the Roman forum, and admire the arches left from the former Jewish quarter. 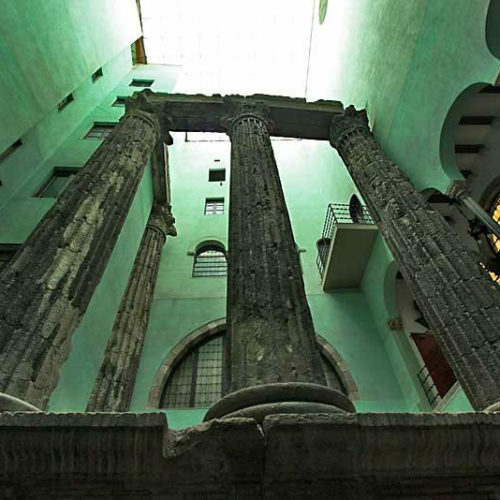 At the Pretorium Tower, you will discover the remains of the Roman circus and the Roman Amphitheater. Then in Sitges, you will enjoy lunch by the sea, explore the marina and beaches and shop the town’s charming boutiques filled with artisans before heading back to Barcelona.